With close to one million OnePlus One units sold last year, the concept of selling a flagship phone at a lower price turned out to be a successful one. Sure, there were some bumps in the road, but OnePlus learned a lot and the OnePlus Two release should go a lot smoother. That, however, isn't expected to take place until the third quarter of the year. Meanwhile, the rumor mill is now open and the OnePlus Two is the subject of some gossiping. The OnePlus Two is expected to come with a laser focus fingerprint identification system embedded in the home button. We should see the 64-bit Snapdragon 810 chipset inside the phone. Design-wise, the OnePlus Two is said to resemble the Oppo Find 7. Considering that the OnePlus One resembles the Find 7, this is not a surprise. Most of OnePlus' top executives came from Oppo and there are connections between the two companies that probably need further explaining. Also not totally a surprise is the word that the OnePlus Two will be priced higher than its predecessor. After all, selling a flagship phone for as low as $299 doesn't produce much in the way of profits. What we'd like to see changed with the OnePlus Two is the invitation system. We understand that the low price of the phone and the resulting razor thin margins requires the company to get a better grasp of supply and demand than its bigger rivals have. But enough time has lapsed since the launch of the OnePlus One for the manufacturer to get a good idea of how many units it needs to produce over a given time period. Previous rumors about the OnePlus Two include a smaller screen and a metal build. 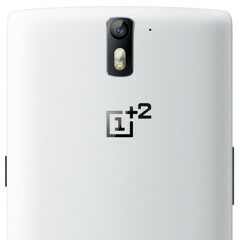 OnePlus co-founder Carl Pei has gone on record stating that the OnePlus One sequel will "surprise people." Hopefully, the device will live up to such a proclamation. Another low quality , faulty display , 0 warranty support smartphone incoming. Before buying this i advise everyone to google massive issues plaguing oneplus one . Especialy 90% of units being shipped with faulty displays . I never regreted anything as much as i did buying OnePlus one. Never NEVER buy phone from a company that isnt manufacturing a single part in their phone , they dont even have their own OS , so they used bugged Cyanogenmod. Tell us how you really feel.......LOL! Now thats what i call anger. Can't blame him. I mean if you'll gonna start up a business you should think through about after sales and one plus came short of that. 1) If something seems too good to be true, it probably is. 2) that's the risk you take whenever you buy from startups. One plus 4-5 years from now will probably be an entirely different type of company. I never had a single hardware problem with my oneplus one phones. And I have purchased 3. This is not a phone for someone who needs customer support 24/7 and price reflects it. Your post should be deleted as it is misleading, if you Google oneplus one it will be hard to find a review that does not prise it, but of course you know better than the rest of us who actually know how to use this device right. Seems like fingerprint scanners are all the rage now. Yeah everybody now jumps in in putting finger print scanner hopefully Sony will not jump in to that. I'm into security as well but it's not wise to put all your personal information in a smartphone especially bank account and credit card. For all we know hackers now a days are more smarter than your average thief. Yea but there's nothing saying that you will have to use the scanner. If its there it will make the device more attractive. Precisely that one feature will attract thieves to get a hold of your phone. 810? Why does no one give the 808 some love? THANK. YOU! When everyone's talking about the 810...where da 808 at? The One Plus One's appeal was the price. If the One Plus Two is slightly more expensive I don't think it'd be an issue, but if it's priced like other flagships I think the company's screwed. I'll risk $300-350 on a potentially shady brand, but not much more than $450. I read that many people had very negative experiences buying the OnePlus one. My experience, however has been awesome. Especially when you add a custom ROM to it. Yeah. I love my OnePlus One. Haters gonna hate. Most people griping haven't really owned one. Then there are a handful of vocal people who had problems. Mine is freaking awesome. Thumbs if you believe OnePlus keeps the invite system to piss off more potential customers? I could accept an increase of price as long as it's reasonable. Nexus went from 350 to 600, not that's not a reasonable increase. This going from 300 to 400, that would be reasonable.